I have been meaning to get to this for the last couple months, but it's been kind of crazy. The Australian Baseball League returned this year after about 10 years. 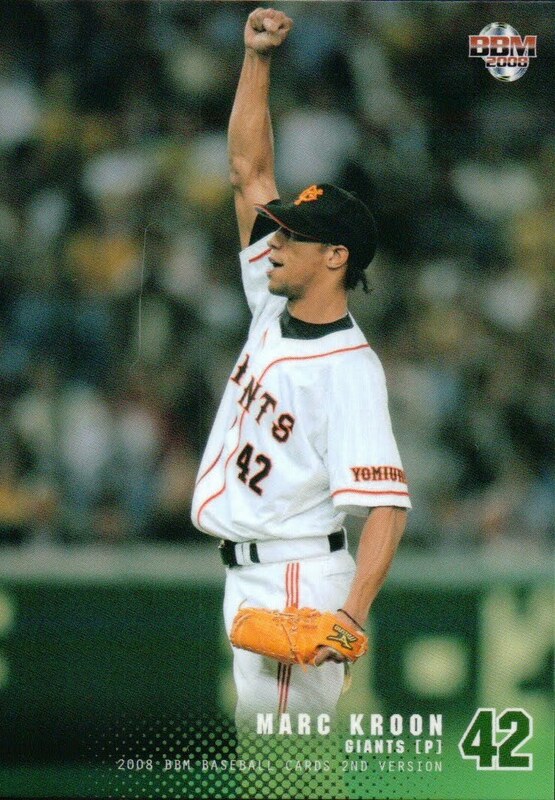 Two Japanese teams, the Yomiuri Giants and the Fukuoka Softbank Hawks, sent 10 players between them to play in the league. 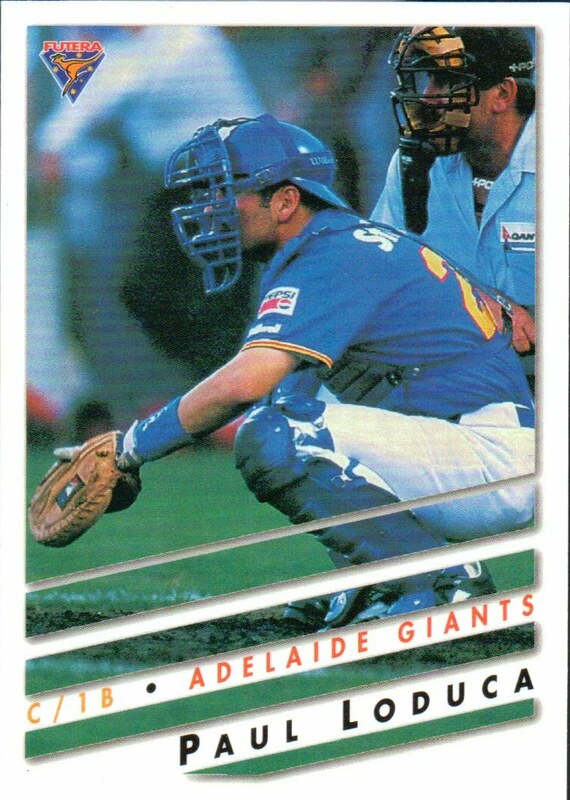 One of them, Yoshiyuki Kamei of the Melbourne Aces (and the Giants) had a phenomenal season, hitting .438/.500/.859 (batting/OBP/slugging) in 16 games (roughly half the season). There were a couple other former NBP players active in the league, including Chris Oxspring and Koo Dae-Sung of the Sydney Blue Sox. As an aside, it looks like NBP teams are starting to look at ways to get more players involved in winter baseball leagues throughout the world. Since the folding of the second incarnation of the Hawaiian Winter Baseball League two years ago, Japanese teams have sent players to a number of leagues. In 2009, they sent five pitchers to the Arizona Fall League. This past winter, in addition to the Australian teams, they sent players to Puerto Rico and Venezuela. NBP Tracker has a nice roundup on who went where and what the NBP teams are thinking about here (with redundant comments by me - really need to read stuff carefully before commenting...). As far as I can tell, there are no baseball cards for the new league. 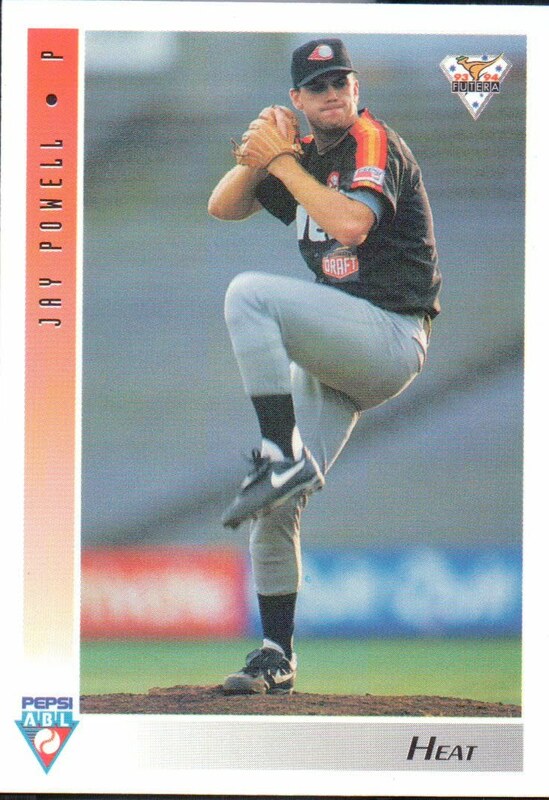 However, there were baseball cards for the earlier incarnation of the league that ran from 1989 to 1999 and I thought I'd devote the rest of the post to them. As far as I can tell, the 1995-96 season was the last one that Futera (or anyone else) did cards for the ABL. The league lasted until the 1998-99 season, then was sold to Dave Nilsson for $5 million. 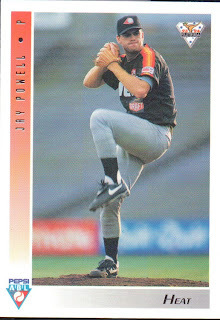 He converted the league into the International Baseball League of Australia which operated (I think) for two seasons - 2000-01 and 2001-02 - before folding. Again, as far as I can tell, there were no cards done for the IBL. I'm not sure how many players from the league went on to play in Japan. 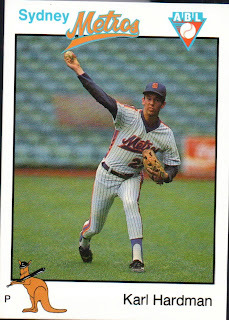 (As far as I can tell, Jeff Williams never played in the league.) From this list of MLB players who played in Australia, the only one off hand that I know played in Japan was Eric Ludwick. Few of the more prominent players on the list appear in any of the Futera sets - none of Vernon Wells, Kevin Millwood or Gary Mathews, Jr are in any of the sets. Probably the biggest names in the Futera sets are John Jaha, Troy O'Leary, Paul Loduca, Greg Jelks and Homer Bush. 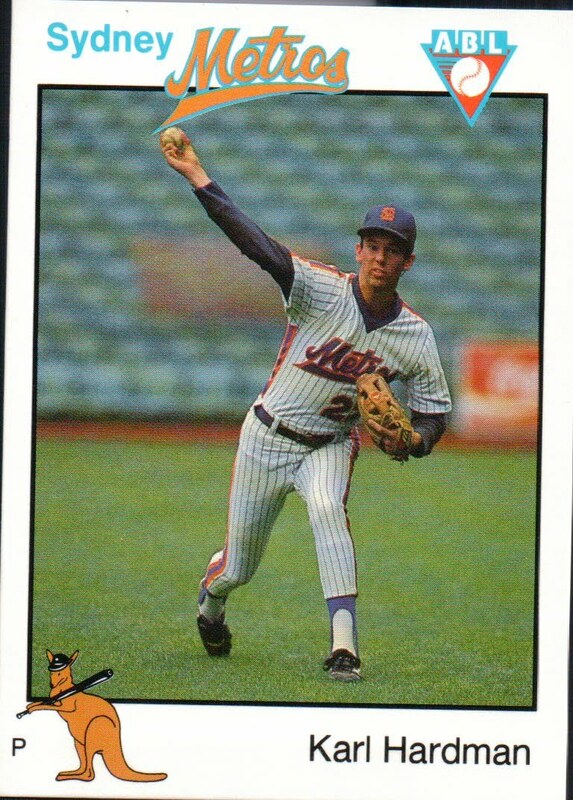 It's kind of funny - the first baseball card set I collected as a kid was the 1975 Topps set. The set included a "Record Breaker" card for Al Kaline who had reached 3000 hits towards the end of the 1974 season. He retired at the end of the season, so the "Record Breaker" card was his only card in the 1975 Topps set - he didn't have a "regular" card. The 2001 BBM set was the first Japanese set I collected - this "Memorial Record" card of Komada was his only card in the set as he had retired following the 2000 season. Seems kind of symmetrical to me. 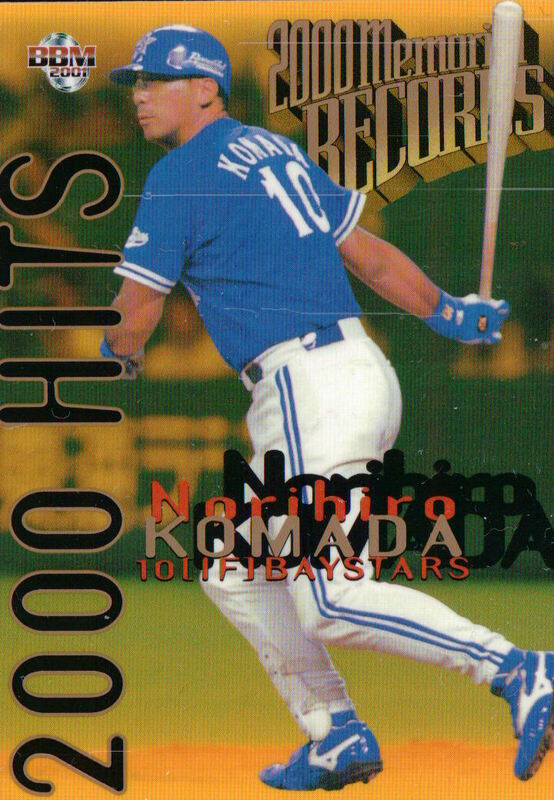 Once again, BBM completes their card line for the year with the annual Nippon Series box set. This year's set features a whopping 71 cards including all the players (and managers) from the Champion Chiba Lotte Marines and the Chunichi Dragons. 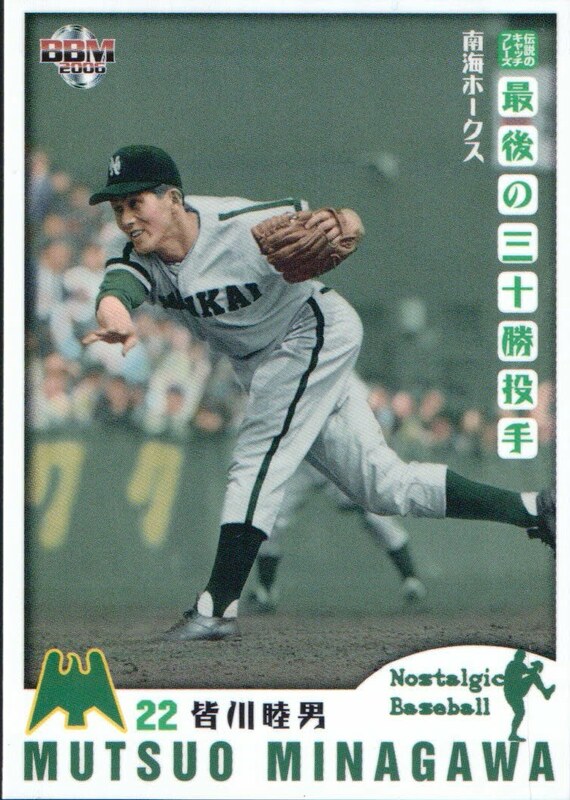 There's also a card depicting the victorious Marines (#S71 shown above), a card for the Series MVP ((Toshiaki Imae), one for the Fighting Spirit award winner (Kazuhiro Wada), and cards for each of the Outstanding Player award winners (Tatsuya Uchi, Ikuhiro Kiyota, Yohei Oshima). I think this is the largest Nippon Series set ever as a couple extra inning games in the Series forced each team to got deep into their benches. There are 32 Marines depicted, including a number (Takuya Furuya, Kei Hosoya, Takumi Kohbe, Ryusuke Minami, Shunichi Nemoto, Yoshifumi Okada and Hayden Penn) who did not appear in either the 1st or 2nd Version sets. There are 33 Dragons which included three guys who didn't appear in the 1st or 2nd Version sets - Naomichi Donoue, Takehiro Donoue and Yuichi Hisamoto. 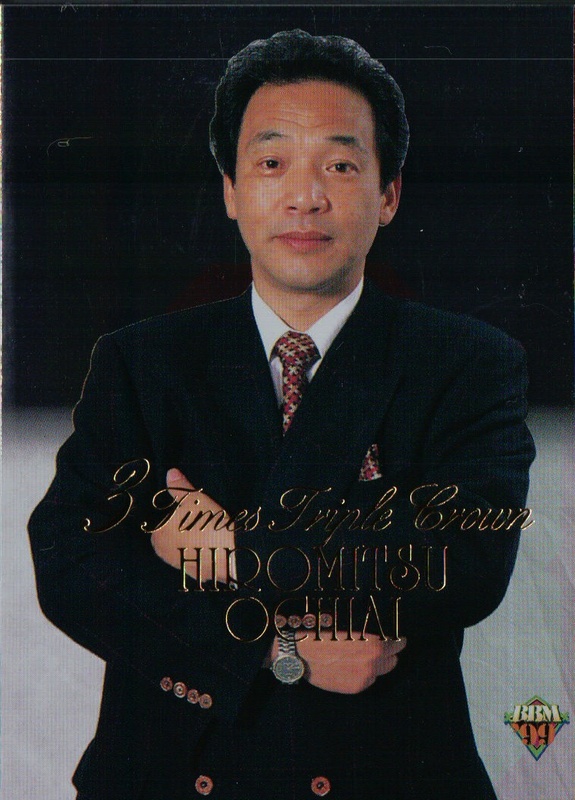 Last week, the Japanese Baseball Hall Of Fame unveiled their 2011 inductees, former Orion, Dragon, Giant and Fighter slugger and current Dragons manager Hiromitsu Ochiai and former Nankai Hawks pitcher Mutsuo Minagawa. It's not a bad little set and I like this year's design better than last year's. I'm not sure that I'm going to need a third one of these, however. BBM announced recently that this year's Rookie Edition set would be released in February. For those who aren't familiar with it, the annual "Rookie Edition" set is a draft pick set featuring the players selected in last falls draft. The set will have 109 cards - 97 for the newly drafted players and 12 for active players (one per team). There's two insert sets - a 24 card "Next Generation" set featuring active players (2 per team I assume) and a two card "Rookie Of The Year" set. There are also possible autograph cards for OB players (of former Tokyo Big 6 players?) and parallel signature versions of the draft pick cards. And yes, Yuki Saitoh is in the set, so it'll be selling like hotcakes. BBM released a 252 card 20th Anniversary set in September. The set contains four subsets - 108 cards (9 per team) OB players (active after 1991 obviously), 108 (also 9 per team) active players, 9 cards for "Great Field Managers" and 27 cards for "Great Records & Highlights". 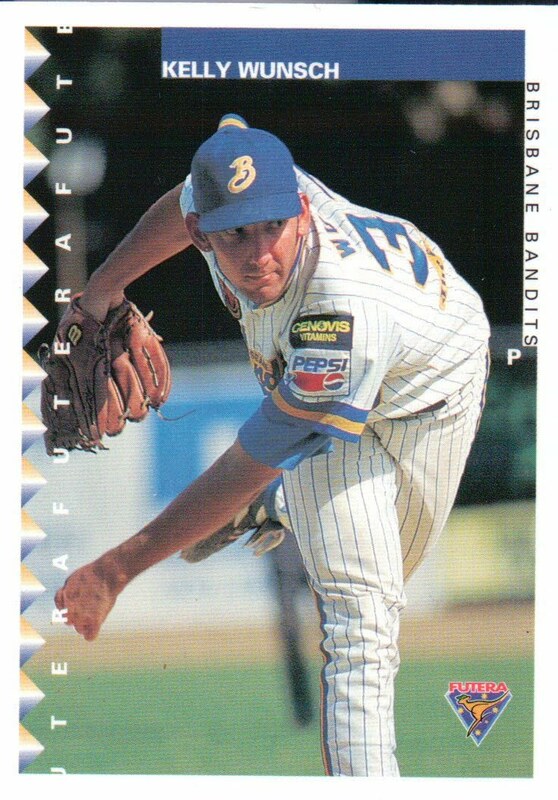 The OB players include nine players who are still active but played in the US in 2010: Kosuke Fukudome, Kenshin Kawakami, Kei Igawa, Hiroki Kuroda, Ryota Igarashi, Akinori Iwamura, Hideki Matsui, Kazuo Matsui and Koji Uehara, plus Shingo Takatsu who I think was playing in Korea. (As an aside - I'd really like to know how BBM arrives at which MLB players get in the sets. Ichiro appeared in last year's Orix 20th Anniversary set and Daisuke Matsuzaka was in the recent Lions 60th Anniversary set, but neither appears here. Why?) The current players are about who you'd expect for each team. 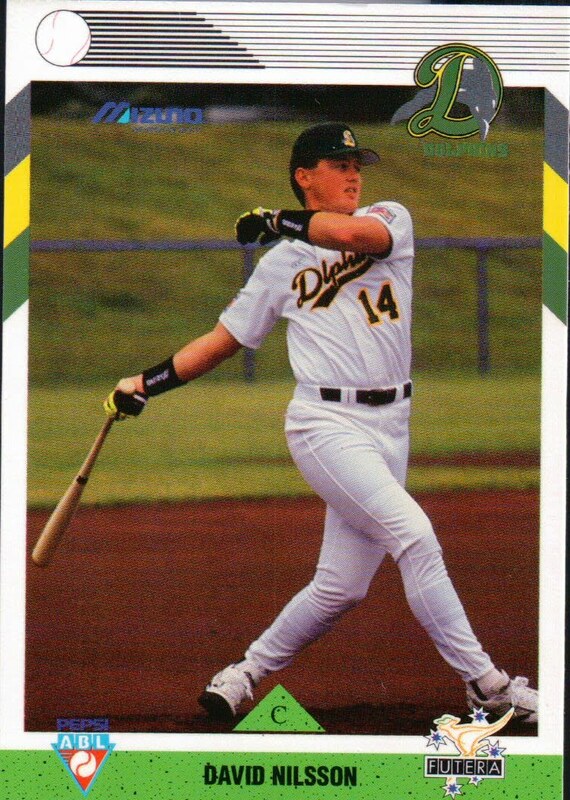 The bad thing about breaking the players up this way is that there's no "regular" card for Takuro Ishii - he's not OB so he doesn't show up with the OB Baystars and he's not a major enough player for the active Carp. Kimiyasu Kudoh falls into a similar situation. 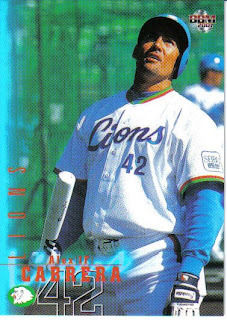 I think the photo on Sasaki's card is from the 1998 Nippon Series (given that there are Lions in the background). I've been meaning to get a post done for the new Australian Baseball League for a month or so now but I just haven't gotten around to it. Both the Giants and the Hawks sent a handful of players to play in the league, but I think they all came home just before Christmas. 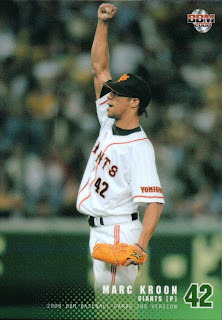 The biggest name of the Japanese players is Yoshiyuki Kamei of the Giants who was on Japan's World Baseball Classic team in 2009. At the point that he left, he was leading the league with a ridiculous .438/.500/.839 line (although he no longer has enough plate appearances to qualify for these categories) along with 7 home runs and 25 RBIs (still best in the league although it looks like his Melbourne Aces teammate Andrew Russell is about to pass him).